We build race machines for performance enthusiasts – the TVS Apache series is a testimony to our 35 years of racing heritage. Over the years, we have been at the forefront of setting benchmarks in bringing racing technology to performance motorcycles. The new TVS Apache RTR 200 4V Race Edition 2.0, takes the racing experience up by a significant notch as it is enabled with the ‘A-RT Slipper Clutch’ – a first in this segment. 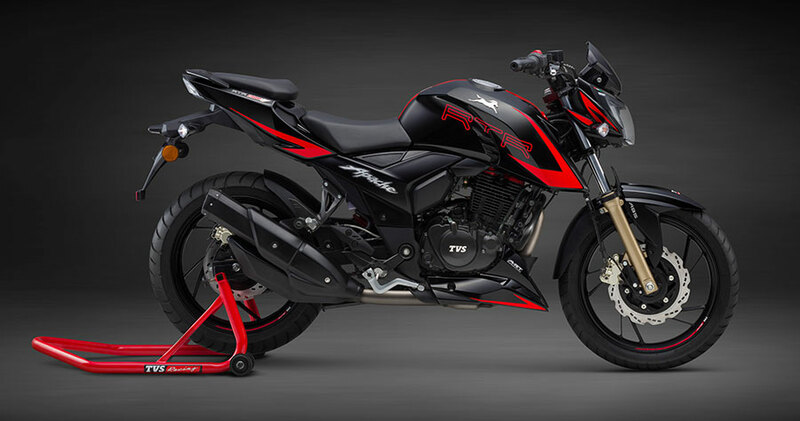 The entire TVS Apache RTR 200 4V range will don the dynamic racing-inspired decals along with a stylish and exclusively designed fly screen which is sure to accentuate the racing stance of the motorcycle thus making it a racing machine like no other. Priced at Rs. 95185 (Carburetor), Rs. 107885 (EFI) and Rs. 108985 (Carburetor with ABS), (Ex-showroom Delhi), the series will be available across the country*.